Living through winters as fun as the “Buffalo winters”, a mom must get ready in each and every way possible. Deciding for or against flu vaccine is one of them. Whether or not you are in agreement with the use of vaccines for flu prevention, we have to stick with the data: being immunized decreases the chance of getting the flu. PERIOD. Indeed, all of us remember more than one instance every year when we got the flu despite getting the flu shot. Many of us surely remember that as soon as we got the flu shot, we got hit by the worst flu of the season. Frustrating to say the least! You get the needle AND the flu?? How in the world and why?! Dear friends, neighbors, and readers from far away: I know you read about the X number of viral strains that make the polyvalent flu vaccine. I also know that you are sick and tired of being the unlucky one that gets precisely the strain that wasn’t in the polyvalent flu vaccine this year. First things first: let me explain how this works and how to deal with it like it never happened. Those flu-like symptoms that you get right after being immunized are not “the flu”. It feels like one but it is not one. In fact – what makes it even more frustrating! – you may notice that nobody else gets it but you. That’s because it isn’t contagious, it isn’t an infectious virus. Depending on the type of vaccine, it may be “dead” or it may be “inactivated” but whichever of the two, it cannot and will not cause the flu. What you experience is your body’s reaction to what was just injected into you. The best proof that they don’t charge you for nothing! A great confirmation that it works too. The way you feel after the flu shot is the crystal clear proof that the vaccine is effective. Your body learns how the flu will look like and builds an army to fight it over the next 3 to 4 months. This is an extreme effort put in by your cells and systems: it will hurt, you will feel sore, tired and you will run fever because the body is at the highest state of alarm. Prevent the fever, muscle pain, and headache by taking either ibuprofen or acetaminophen (aka paracetamol) 30min before getting your flu shot. This will elevate your pain tolerance and prevent fever. Chose between the two options based on your experience on what works for you and based on your age and other health conditions. I do not recommend ibuprofen beyond 60 years of age, but I do encourage it in children and young adults (provided that there is no allergy history!). Discuss with a clinician long ahead of time to have their opinion just in case. If you feel muscle soreness, try light exercise, keep your home well oxygenated, drink warm fluids (plenty of fluids!) and don’t feel reserved in repeating the ibuprofen or acetaminophen dose. Know your effective dose for both ahead of time! Please don’t tell me “I tried, but it doesn’t work for me“. I saw and treated LOTS of patients thus far: these drugs work if they are dosed properly and taken at the right times. No, you cannot get toxic easily. No, you will not become dependent either. No worries! Just don’t be foolish, use common sense, and reach out with questions so that you test what works for you in the wisest way possible. The classic 200mg ibuprofen adult dose may not work in someone over 200 lbs (~90kg). The max ibuprofen dose for one time is 600-800mg. That may be repeated after 6 to 8 hours. Talk ahead of time with a clinician and find out their thoughts about whether it would be ok or not to get closer to that dose IF NEEDED. Call/email me if there is nobody else. I answer within an hour most of the time. Very rarely I recommend both ibuprofen and acetaminophen – not together but alternating them 6 to 8 hours apart as this doubles their effect in controlling fever and pain. Again, do not take them together unless you are licensed to take that decision. However, know that this last resort option works when either of them separately does not. Child doses are lower than adult and they work very well provided that the adult in charge administers them correctly and knows what to expect. 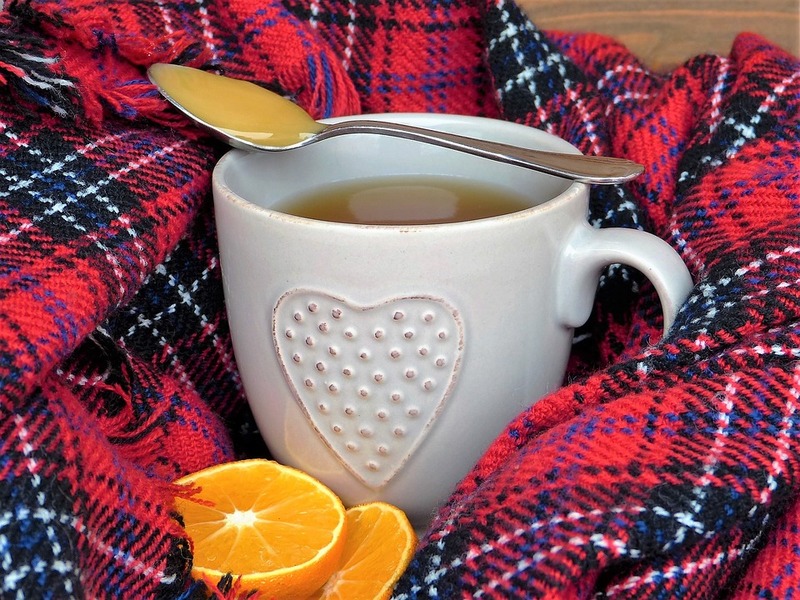 Read my next coming post about “A Mom’s cough & cold journey” to learn more. The worst that could happen, did happen: you got the flu despite the stick! First: this is not at all the worst that could have happened. People die because of the flu. The fact that you have a runny or stuffy nose and you are displeased with how you feel is dramatically different (and better!) than being in the ICU with an IV drip. That could have happened, so please trust that what you go through is ok compared to what could have been. Second: now you are more immune and less likely to get another flu this season. See my point? Think positive! Third: take absolutely no antibiotics unless a physician decides that you also experience a bacterial infection as well. Should you have access to antibiotics and be tempted to take them: DO NOT! Fourth: Over the age of 65 years, consider an antiviral like oseltamivir / zanamivir / peramivir. The more years you have over the age of 65, the more likely it is that this may save you an ICU experience. Of the three, oseltamivir is the only one recommended for pregnant women (younger than 65, of course). There is a very short window of time to decide taking an antiviral. Over 65 is a must, in my opinion – provided there is no contraindication for the drug. However, a clinician will evaluate you for any contraindication anyway, just make sure to go see the doctor! In case of flu after the flu vaccine, here is what you may need handy in addition to ibuprofen and/or acetaminophen. The products mentioned below are generally available in all drug stores and most grocery stores. For my personal preferences and the reasons behind them, check out the “Cough & Cold” and “Vitamins & Minerals” sections in Dr. Alice’s Shop. Advice: pseudoephedrine is more effective, but tolerance may occur with overuse. I stubbornly stick with phenylephrine to be on the safe side. It can also be picked in any grocery store drug aile even if the pharmacy is closed. This last detail doesn’t seem important until you need it after the pharmacy closes! Ask a doctor or pharmacist if you have a heart disease, hypertension, diabetes, or a thyroid disorder. Review all the links provided for more information. Advice: recommended to individuals having a contraindication to phenylephrine or pseudoephedrine. It may be contraindicated in patients with certain conditions. Consult with a clinician ahead of time so that you will be prepared for the right decision. Review all the links provided for more information. Advice: it does not contain codeine and it already surpassed codeine in sales. It works for most people but once in a blue moon may cause psychosis. I never saw myself a case of psychosis with dextromethorphan; however, I read about it. If it didn’t happen to you in the past, may not happen in the future. Your risk may be higher if you have a liver condition. If this will be your first time using it, try to remember whether you or anyone in your family ever experienced an unexpected drug reaction. That’s a good thumb estimate. Consult a clinician ahead of time (that’s always a good idea). Depending on how bad is the chest pain from coughing, if you answered no to all the above, then you may want to give it a chance. Last, not least: the drug is known to delay or prevent climax altogether, thus plan accordingly. Review all the links provided for more information. Advice: Do not take if pregnant! No crush / chew / breaking of the tablet. Consulting ahead of time with a clinician always helps! A headache may occur with guaifenesin, however, patients that require guaifenesin are usually medicated with either ibuprofen or acetaminophen which are likely to account for this guaifenesin side-effect. Review all the links provided for more information. Advice: it has considerable contraindications in patients over 65 years of age and individuals certain medical conditions. Consult with a clinician ahead of time so that you will be prepared for the right decision. Review all the links provided for more information. Advice: only take once a day; does NOT cause drowsiness. It is available in sublingual lozenges that ensure an immediate effect. It may be contraindicated in patients with certain conditions. Consult with a clinician ahead of time so that you will be prepared for the right decision. Review all the links provided for more information. Advice: It may be contraindicated in patients with certain conditions. Consult with a clinician ahead of time so that you will be prepared for the right decision. Review all the links provided for more information. Advice: liposomal or sublingual formulations are the most effective. Review all the links provided for more information. Advice: sublingual temperature over 99.4 F (37 C) or rectal over 100.4 F (38 C) is considered significant. Should you have an immune deficiency or receive cancer treatment, you must call your doctor immediately before attempting any fever reliever. It is vital that you discuss the above with a clinician you trust or even two. Be prepared and don’t endure the flu. We have every tool we need to make it safely and decently well through the flu season. If you do not like taking drugs, be mindful and fair accepting that the harm you cause to yourself may be worse than any unwanted action of a drug. The above-listed medications are over-the-counter because they have passed a very thorough safety review. The probability that they can help you through the flu season is surely more than flipping a coin! I hope that you found this information helpful. Click like and share if you value the content. Do let me know what else works for you if you get the flu – comment below and stay healthy! Next Next post: What do we do to deserve the flu? !